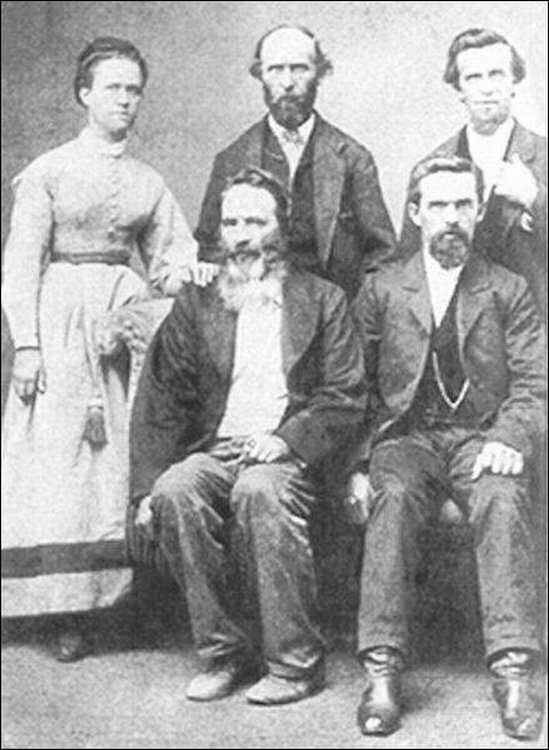 This photo shows Benjamin Franklin Green, one of the four founders of Carson City, in a portrait with members of his family. Green is the one seated, at the left. STANDING: Ben's sister-in-law Eliza Eveline (Bates) Orne, Ben's half cousin Samuel A. 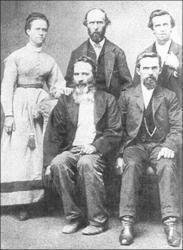 "Lon" Orne, and Ben's half brother Joseph J. Orne. This photo was tracked down by Louise Inman of Carson City in 2008, and found in the possession of Joni Vella of Wisconsin.